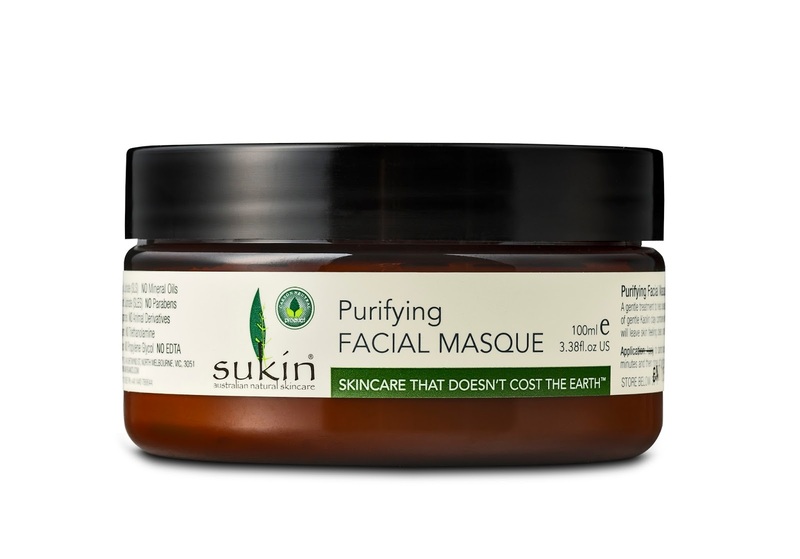 The Sukin Purifying Facial Masque is a really lovely way to ease yourself into using a mask once or even a couple of times a week. What I really like is that you get the purifying quality of a clay but this doesn't tighten as it dries so your skin actually feels hydrated after using. Where I've had spotty patches seem less red after using. The main ingredient is Kaolin clay (I say main, it's not top of the ingredients list but it's not far off) which has been used in skincare for a long-time and is especially good for those who have an oily skin as it can help reduce the production of sebum. It has a high content of silica which helps to purify the skin and encourage it to regenerate. It has phyto-nutrients which help eliminate toxins from the skin. 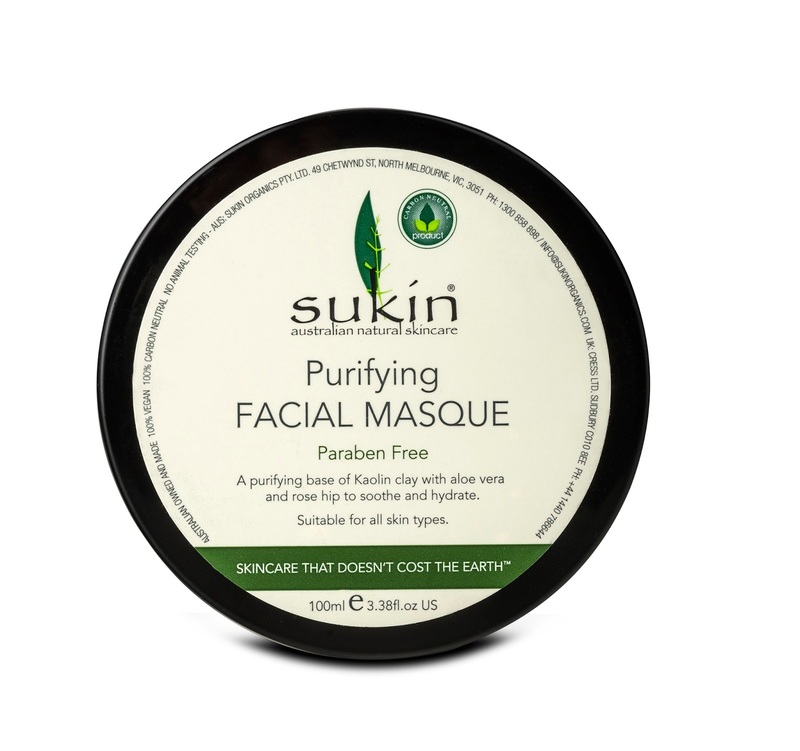 In short it's a bit of a wonder ingredient and this mask is, to my mind, a bit of an unsung hero. 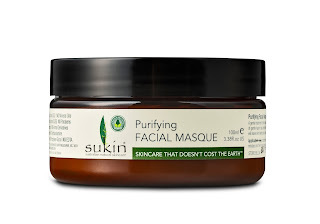 How to use it: I cleanse and then having removed my cleanser, while my face and neck is still damp I rub this in to my skin and leave it for 15 mins. This is usually when I run my bath, clean my teeth etc. I then remove it with a warm face cloth and moisturise. What I love about this is that it's reasonably priced. £10 and a tub will last you quite a while if you apply it properly. Clay is a notoriously cheap ingredient so it's frustrating to find higher end brands charging you the earth for something that cost them next to nothing. I have definitely noticed that since using it my skin has improved. Where I have had hormonal breakouts the redness seems to be reduced and my skin just seems brighter and calmer. If you have had trouble with tightness, sensitivity or general disappointment from masks before then give this a go. Suitable for all skin types but definitely worth trying if you have oily or sensitive skin. 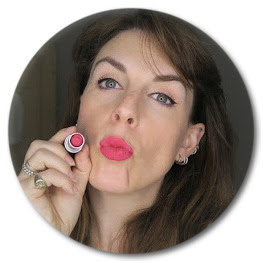 *I think this was partly down to the discontinuation of Clinique's 15 Minute Turnaround mask which was FANTASTIC.